We feel proud to offer best and most stunning looking array of Shopping Fabric Bags. The offered fabric bags are beautiful to look at and available in many different textures. They are colorful and light weighted. 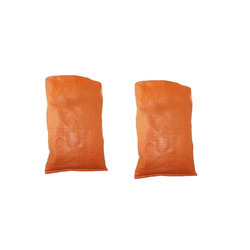 These bags are highly demanded by our customers for its appealing look and cost effective rates. We are a most trusted name among the topmost companies in this business, involved in offering Flower Fabric Bag. Product Description-We are Manufacture and Wholesaler of Fabrick Bag, Leather Bag, Etc. Colors Available: Yellow, Light Blue, orange etc. 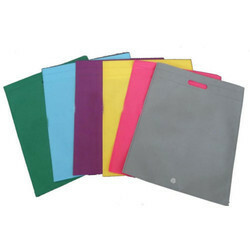 We are offering Non-woven Carry Bags. Owing to our expertise, we are engaged in manufacturing, exporting and supplying superior quality Fabric Bags. This Stylish Fabric Bag not only has a sober design but is also spacious. We are also engaged in manufacturing, supplying and exporting a wide range of Cotton Fabric Bags. These bags are using superior quality cotton and latest production techniques. Clients can also avail these bags in red, green blue and more colors as per their preferences.